Improve your search visibility with Google My Business! Google My Business (GMB) is a free tool where businesses can manage their local online presence as it appears in Google. 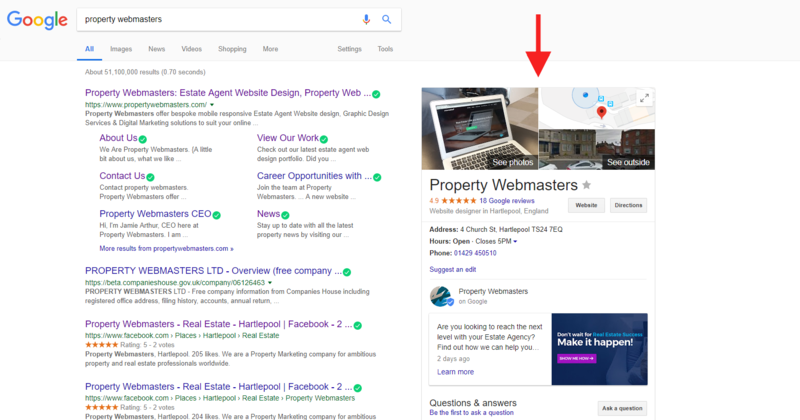 You may have noticed when searching for a business on Google that a box appears with company details at the right side of the page on a desktop, at the top of your search on a smartphone or even in Google maps, this is the companies Google my business listing. Why should Agencies use GMB? To rank higher in Google’s organic search in order to generate more leads. 94% of home buyers will start their search online, so a strong online presence is essential. Google favours their tools over others, providing the ability to post updates much like you can on Social Media that appear next to your company profile. So if you keep posting regular updates like you would on social media, you are more likely to appear in a local Google search result. In the UK 85% of people are using Smartphones, so it’s no surprise that the use of Google maps is taking over from the old-fashioned sat nav. Having a Google my business listing ensures that your business and location is shown on Google maps correctly. 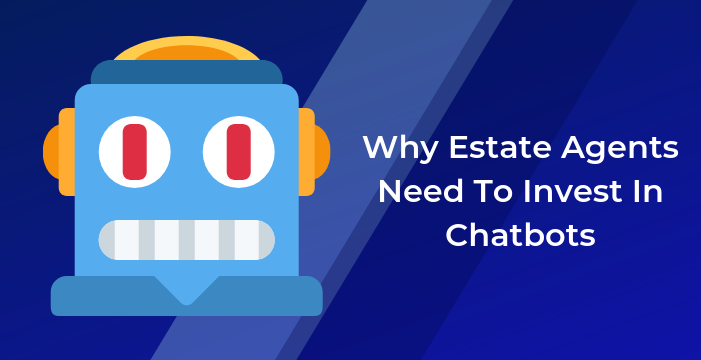 If a user is searching for: ‘Estate Agents near me’ and you have a Google Business listing, your business will more than likely show on peoples Google maps so they can identify exactly where your office is and even get directions. This is a great way for new estate agencies or agencies that have moved offices to target potential buyers/ sellers in their new target area. What better place to receive a review than the worlds number 1 search engine? Potential clients are much more likely to engage with a business with positive reviews rather than one with negative reviews, especially when it’s from Google. When your Google my business listing is up and running, contact past and present clients to build up your portfolio of reviews. A company with no reviews will make the user question whether the company is reputable. Don’t worry if you receive a negative review, this is natural and Google is clever enough to recognise this. Simply reply to the review and try to solve any problems, this is better than ignoring it and Google will see that. Google my business allows you input your business details for users to see whilst they are performing a google search. You can include things like your contact information, location and opening hours so that potential clients can quickly and easily access this information with ease, rather than having to access your website then click through to the contact page. You can also add the link to your website so that clients are able to access your website straight from the GMB listing. Get your company seen for free! Think of Google my business as free advertising, as this is exactly what it is. You can add all of your company details on the biggest search engine in the world, post regular updates and get seen organically on Google, which Google loves! So how can agencies set up a GMB listing? To summarise, creating a Google My Business account is highly beneficial for any agency looking to generate more local leads. The convent listing located in Google’s search or map view allows users to easily source information about your company which helps them make a quicker decision. Ensuring your GMB listing is constantly updated will bring more people to your business and website which will result in more local leads being generated. 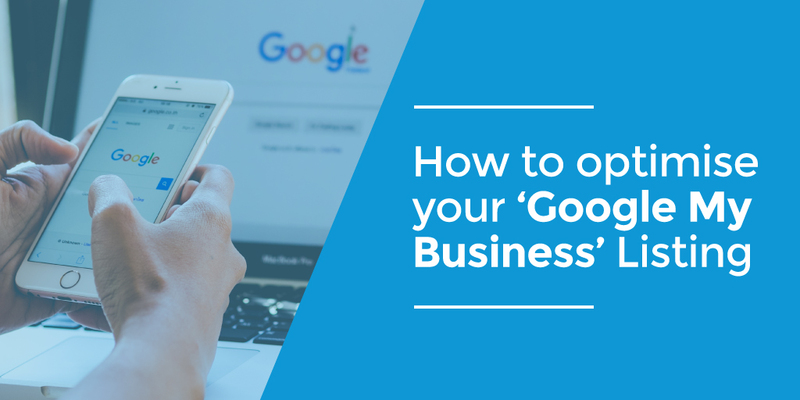 To help you setup your own Google My Business listing we have put together a FREE Google My Business guide to help you through the process.